Following on from another super year for the Collectors Club, I’m delighted to confirm it’s back for 2019 and to be able to share images of the exclusive Collectors Club figure. If you log-in to your account and your discount doesn’t show you can check your membership dates in the ‘my account’ tab in the navigation bar. The system that runs the system can sometimes change membership dates but it is a simple fix from my side – so if you have any doubt whatsoever about your membership contact me at darren@tommyswar.com and I can quickly check and change dates/status if required. Please, if you do not see discount always check-in first as its generally a system error which can be fixed easily. Since I started the Collectors Club in 2016 it’s gone from strength-to-strength and increased in membership numbers in each year. Although the club is working better in 2018 than in 2016 I know it can be better and I’m working on projects to make your experience as a member even better for 2019. With a large number of highly anticipated new releases in September I’m conscious that customers are already keen to sign-up and take advantage of the discount and to see the special edition figure for 2019. So, without further ado, I’m pleased to confirm the Collectors Club for 2019 is now open for new customers and renewals and the new figure is TW32CC04, Private of the 14th Battalion, Royal Warwickshire Regiment. 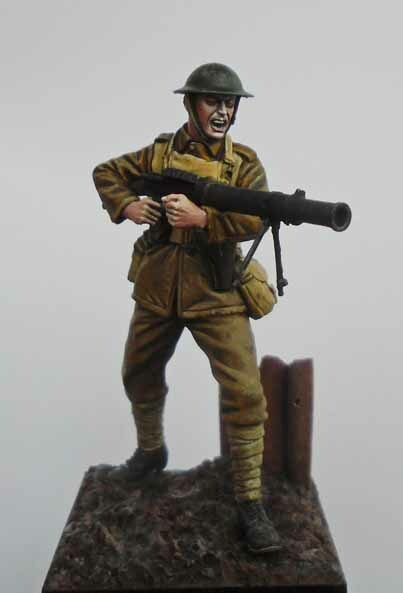 This figure sculpted by Nino Pizzichemi has box art by Edward Sage and shows a figure advancing with a Lewis Gun. 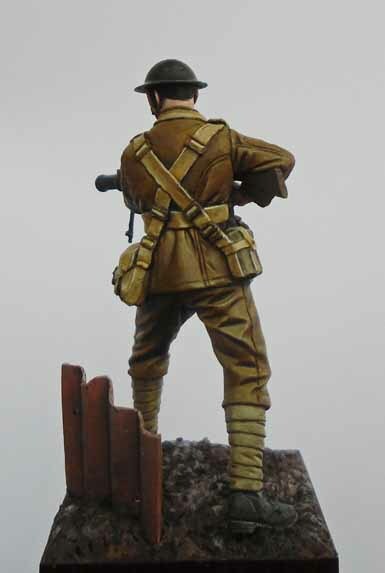 The idea behind the figure is two-fold, first it sits-well with figures TW32040/41/42 and 43 (plus TW32044 when it is released in early September) and secondly it allows me to talk about another important aspect of British World War One history, the Pals battalions. The 14th Warwicks were also known as the 1st Birmingham Pals, one of three Battalions raised in Birmingham at the request of the City in 1914. The Pals were uniquely British, in 1914 Britain didn’t have a mass conscripted army and the Government needed a way to expand their forces quickly, they did this on a local basis with men who worked together and lived locally into hastily formed Battalions within their local regiment. Pals Battalions were formed in Liverpool, Manchester, Glasgow, London. Indeed, all over Great Britain. While these new units reached France from 1915 it was the infamous Battle of the Somme where they really saw their first action, with devastating results. With local communities devastated by mass casualties the concept of local formations was hastily dropped and the Battalions took on replacements from a broader geographical arc. The Pals remain a huge part of Great War history, and one which I’m delighted to commemorate here. However, the figure is suitable to portray many British and Empire armies of World War One. 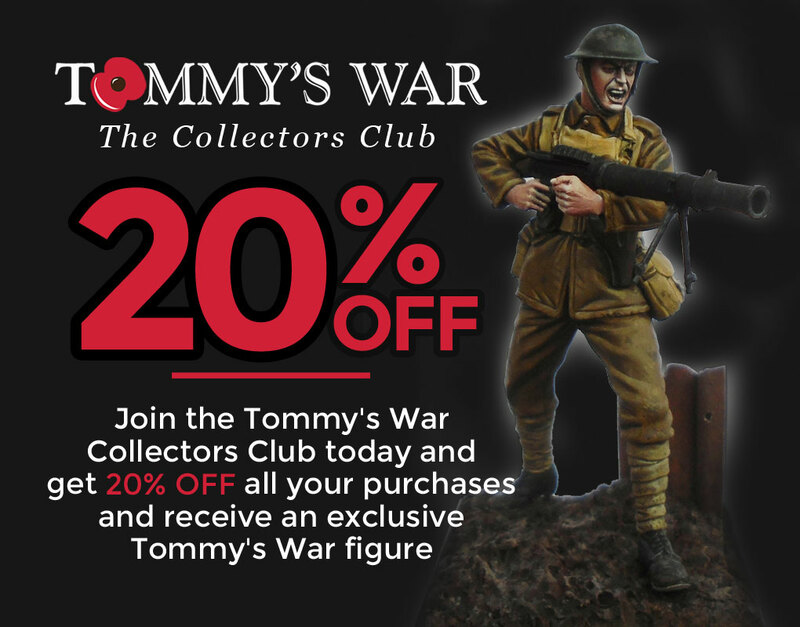 In terms of membership, this remains as before, the 20% discount will apply, and with 9 new figure releases plus the new Australian Light Horse release in September (see here for a full schedule) it will be possible to save more than your initial joining fee immediately. Although it’s been quiet on the newsletter front, there will be a new one in September (with more pages) plus a new catalogue and other items. I’m still working on two projects which I hope will be included, if not they will be available in one of the later newsletters which are scheduled for October and December. There are plenty of new releases scheduled, but I’m also working on 2019’s releases and I’m pleased to confirm that one aspect will be United States Marine Corps from 1918. So, 2019 promises to be another exciting year in the Tommy’s War journey. So, I hope I’ve got enough there to wet your appetite, but please be assured I’ve been working hard through the summer to make Tommy’s War even better, bigger and more interesting in 2019 and beyond. Of course, my gratitude goes to Nino and Edward for their fantastic work on this project, and as usual a huge thank you for everyone that has offered help, encouragement and advice to Tommy’s War over the years. So, join here today, and start your Tommy’s War journey!